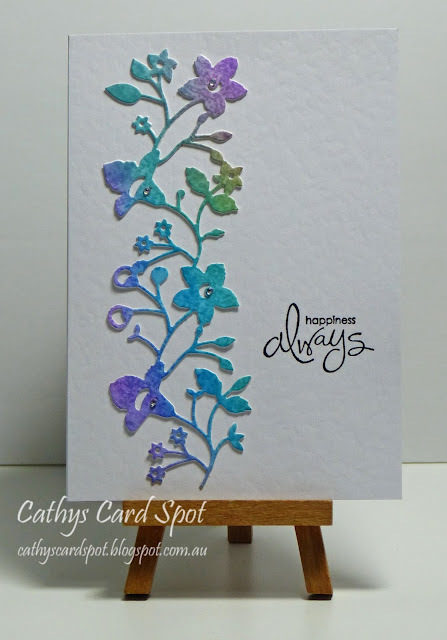 Cathy's Card Spot: Floral border with oxide inks. Hi everyone, I was invited to be a guest designer for Craft Stamper Magazine after winning the January Challenge with my ATC. The theme is anything goes as long as you use stamping somewhere on your project. I've been making distress oxide backgrounds, lots of fun and very therapeutic after a hectic day at work! I diecut one with this border die, glued it onto another white diecut for dimension, stamped and embossed a sentiment and it was finished. 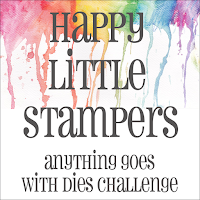 and to Happy Little Stampers anything goes with dies challenge. The theme at Simon Says Stamp Wednesday is girl power. Girls love flowers so I'm visiting there too! words sentiment stamp; versafine ink & clear ep. A beautiful card - the colours are lovely. GOrgeous colors Cathy, pretty and cas. This is so beautiful. Love the die cut and the colors. What a lovely CAS card! The DOX flower border is so beautiful against the white card base and is such a lovely, delicate design. So, so pretty! This die is as beautiful as it is delicate and you did a superb job coloring it with your Oxide Inks. Wow this is stunning, the bright colours on the die cut are beautifully highlighted agains the simple white background. 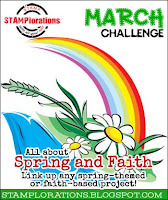 Thank you for sharing over at the STAMPlorations March challenge! Fabulous cas card Cathy. Love the muted colours and lovely card base. Thanks for sharing with us at HLS Watercolour Challenge. oops! Wrong challenge. 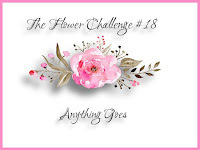 Thanks for sharing for our Anything Goes with Dies Challenge Cathy. Just finished commenting on the wc one and got muddled up!